Garcinia Cambogia is an advanced ingredient in slimming nutrition. Its proven to have more than 60% of HCA. 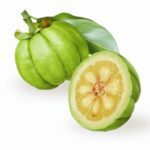 Hydroxycitric acid (HCA), a citric acid byproduct, is the main active ingredient in Garcinia cambogia extract. HCA blocks fat by inhibiting the efforts of citrate lyase, an important metabolic enzyme. This is one of the reasons that Garcinia is so successful as a weight loss supplement.